Gathering clouds...wonder if they bring rain. In this part of the world, water towers are a rare sight. I like spotting them, it tells me of the name of the town. Nice shot of the watch tower. Neat view of the tower and pretty sky! Great shot,Carver! Enjoy your new week! A calm and beautiful sky...! Summer clouds are always good. 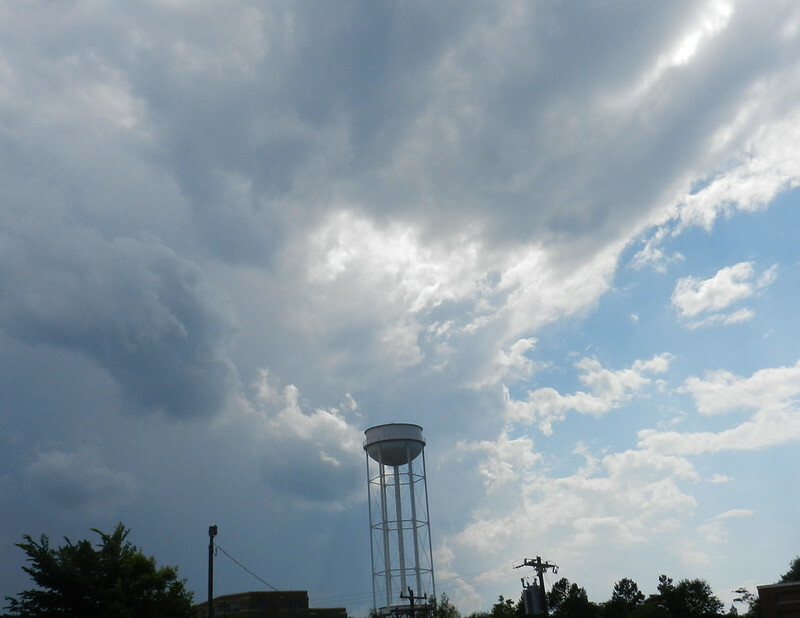 That water tower is all ready to collect the oncoming downpour. In Malaysia, we have water tanks. Here in NZ, we have dams.